Effective January 1, 2018, Michelle Seitz will become Chairman of Russell Investments. 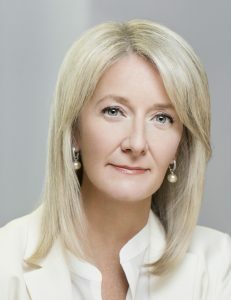 With 30 years of Asset Management experience under her belt, Michelle Seitz will lead Russell Investments as the global asset manager’s new—and first-ever female CEO, effective immediately, the firm announced. Seitz will be based in Russell’s Seattle headquarters, succeeding Len Brennan, who will serve as chairman through the end of 2017 before becoming a strategic advisor to the firm. Effective immediately, Seitz is a director on the Russell Investment’s board, which she will become chairman of on January 1, 2018. Prior to joining Russell Investments, Seitz spent 16 years at William Blair Investment Management (WBIM), where she helped transform the fund to unprecedented heights — growing WBIM’s institutional business from $2.3 billion to $65 billion in assets under management. Seitz also served on WBIM’s seven-person executive committee.